If you have been charged with a criminal offense in Southern Maine, you need an experienced criminal defense lawyer in Portland, Maine or Saco, Maine to protect your legal rights in the criminal case. Being charged with a crime, like an OUI Maine, can be a frightening, confusing experience, especially if you know you are not guilty. People unfamiliar with the legal system don’t know where to turn or what to do. In looking into law firms near me, the most important decision you will make at this stage is to hire the right attorney in Maine for your case. Why accept a public defender who is often overworked and who has limited time to devote to your case, on such an important criminal charge? Our three attorneys (shown below) “know the ropes” and can assist you through this stressful and precarious criminal investigation and prosecution. Criminal defense representation should not be blindly turned over to criminal lawyers near me, unless that law office has Maine lawyers with top credentials and a track record for winning. Choose a lawyer in Maine with the experience, resources, and skills you need to protect your freedom and your future. Contact the Webb Law Firm by calling 207-283-6400 to schedule a FREE lawyer consultation with a Portland criminal defense lawyer or Saco OUI attorney. Our law office handles both federal and state courts, from Augusta, Maine and south of that area. For a criminal arrest, felony or misdemeanor, you don’t want to hire the same Maine attorneys you hired for a real estate closing, tax matter, civil case, or other legal matters. You need someone with legal experience in the criminal justice system. Since prior experience is so critical, you want to search for a a criminal attorney who has experience handling criminal cases like yours (e.g., an expert in Maine OUI laws). Another factor to consider is the office location of the attorney. That is why Webb Law Firm now has two offices. The Saco office is our original office, but in 2018 we added a Portland, ME office which is very close to the Courthouse. It’s beneficial to hire a defense lawyer with an office in Portland when a case is pending in Cumberland County. This allows the lawyer to meet with clients and use that office to prepare for and support trials, if needed. Plus, it is more convenient for you to meet with an attorney who is close to where you work and live. Furthermore, local attorneys know the district attorney and the judges who will be involved in your criminal case. This can benefit you, when the lawyer in Maine representing you has a connection to the court personnel dealing with your case. Your attorney has worked on other cases involving these individuals and already knows who is recognized for their willingness to negotiate and who prefers to go to trial. With this information, your criminal law attorney can make a recommendation to you about the merits of accepting a plea bargain or pursuing an aggressive defense that is based on your criminal defender’s experience working within Portland’s court system. Knowledge of the laws in Maine is essential, but relationships and prior connections for a trial lawyer can be of greater value. Don’t be afraid to ask questions at your initial consultation. You need to know if the ME attorney has experience handling cases involving the criminal offense you are facing. Ask the defense attorney how many people he or she has successfully defended. Ask if he or she has experience representing people in the same court where your criminal prosecution will be held. An experienced attorney listens when you present your side of the story and asks questions before offering predictions on a likely outcome. Without full data, he or she can only give a preliminary. professional recommendation or how to move forward. For instance, the attorney in ME may suggest that your case facts may result in seeking a reduction of the charges from a felony to a misdemeanor. Plus, Maine laws allow your criminal defense attorneys to tender a guilty plea or nolo contendere plea in return for a favorable sentence recommendation. If the attorney does not discuss all your options, nor explains the benefits and risks of choosing each option, you will want to seek a second opinion. Furthermore, if the attorney says he “can absolutely win your case,” be very wary of such claims, and always meet with other highly-rated Maine lawyers. Regardless of how successful an attorney may be, he or she can never guarantee a win, based on an initial interview. Many attorneys have successful records of defending clients in criminal cases, but not all of them will be right for you. When meeting with an attorney for the first time, consider how you feel as you talk with the attorney. You should feel comfortable discussing your case, and your personalities should mesh well together. You want to work with an attorney who you trust and who you like because you will be spending a lot of time together. All these personality traits factor into your lawyer’s success rate and how well you will get along with your attorney. The Portland criminal defense attorney you hire to represent you performs many tasks as he prepares your criminal defense. Throughout the case, Job #1 is to protect you, and DO NO HARM. From the beginning, he or she accumulates information about the facts of the case. Your lawyers in Maine also may represent you at an initial arraignment or preliminary hearing to help you post bail. Criminal attorneys interview witnesses and other parties who are involved in the case as part of the case preparation. Your attorney may need to have you retain an investigator or other professionals (e.g., accident reconstruction specialist) to secure detailed information that your crime lawyer can use as he or she prepares a defense strategy. 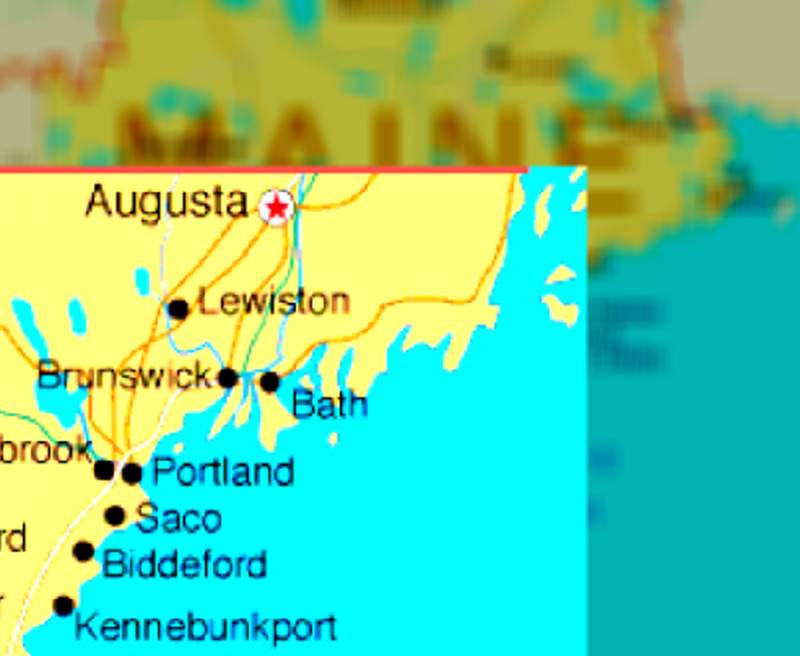 A criminal defense lawyer in Portland or Saco must be up to date on the latest laws in the Maine Code, and any related regulations (e.g., driver’s license suspension or revocations) that can impact your criminal case. Part of this continuing legal education involves being knowledgeable about current new case law, and previous cases that could affect your prosecution. Therefore, your DUI defense lawyer must always be researching current laws and cases in Maine and other states to ensure that he or she develops the best possible criminal defense strategy, given the laws and facts pertaining to your criminal prosecution. At the same time, your attorney must work with you to provide client support and guidance on what needs to be accomplished while also being realistic about the downside risk of going to trial, if a fair plea offer is “on the table.” A criminal lawyer’s valuable legal counsel comes from years of court experience, plea negotiation conferences and a knowledge of your Judge’s sentencing practices. Tracking all documents related to your case (e.g., an embezzlement case) or creating a timeline of the events and police calls will be essential to properly preparing for court or a possible jury trial, depending on the type of case. Plus, part of every defense strategy is for your criminal attorney to mount a counterattack on all evidence and witnesses the prosecution intends to use at Court, to prove your guilt. If your attorney advises you should accept a plea bargain, your legal advocate must negotiate a deal that is in your best interest. If your case goes to court and you are found guilty, your Maine criminal law attorney must then prepare to minimize jail time and try to mitigate your sentence conditions as much as possible. This may be part of a negotiated plea for you to receive only probation and community service instead of going to jail. Have You Been Charged With a Crime in Maine? Contact the Webb Law Firm using our online contact form or by calling 207-283-6400 24 hours a day, 7 days a week. Our criminal defense advocates at our southern Maine law offices offer FREE legal advice, and a FREE consultation to prospective clients., so you can get the facts before you decide how to proceed with your criminal defense. If you have been charged with a crime in Saco ME or Portland ME, or elsewhere in Southern Maine, protect your legal rights by calling an experienced criminal defense lawyer, and not just any attorneys near me. 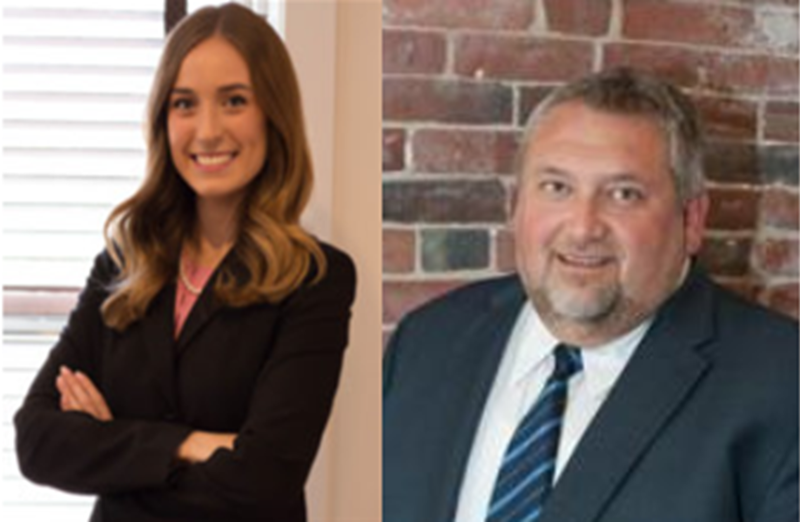 John Scott Webb, Katherine (Katie) Campbell and Vincent LeConte stand READY to defend your constitutional rights and statutory rights in Maine.